The AVINOC airdrop is going on right now: get your free AVINOC tokens in 5 minutes! We Steem users sure enjoyed the free Byteball airdrop that has been taking place lately, but it’s not like Byteball is the only airdrop out there. Don’t worry, I’m not going to be blogging about every single airdrop, but judging from the response from the last one, I will write about the ones who I find to be most interesting. If you like free crypto, then great news for you, and if you don’t care about airdrops, then feel free to just skip this post. Want to skip straight to the airdrop? Click here to get going! 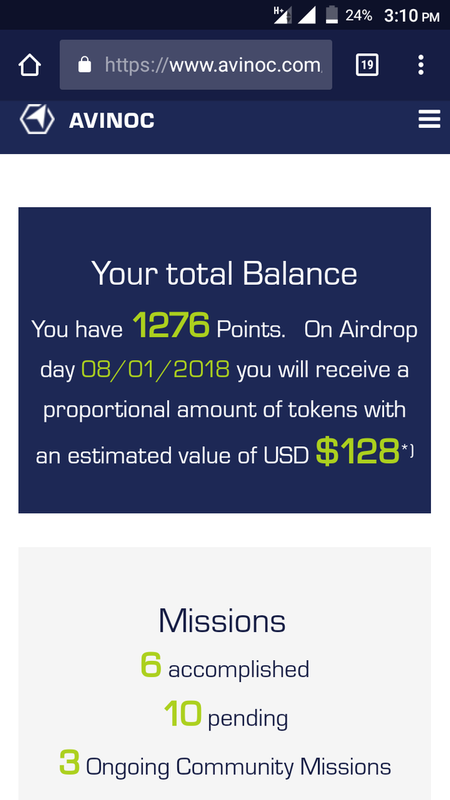 My result from participation in the airdrop. It’s definitely a lot of money if the price stays this high. Today we’re going to be looking at the AVINOC airdrop. It’s taking place right now, and will run for about 50 hours after this post is published. So if you want some free tokens, then you’ve got to do it within the next two days. As you can see from the screenshot above, I got an estimation of over $250 from the airdrop without getting any referrals, so this means that anyone can get this much. I only spent between 5 and 10 minutes on this in total, so it’s a great deal if the price turns out to be as good as they estimate. Step 1) Get a ERC-20 compatible Ethereum wallet if you don’t already have one. My personal favorite is MetaMask, but there are also a few other options out there. Step 2) Follow this link, and scroll down a few paragraph until you hit the part about the airdrop. Click on “To the airdrop”. Full disclosure: this is a referral link, so only use this if you want to support me with some tokens. I have no idea how much I even get, but I love free tokens, so I will be very grateful if you use it. This is the part of the website you want to look for. The numbers might be a bit wrong, since I took this screenshot last night. Step 3) Sign in with either of the third-party services to get started. You can use your Twitter, Facebook, Yahoo, Google, LinkedIn, Reddit ++ accounts, but sadly there’s no option for Steem right now. Just select the one you are comfortable with, and once you are in, you can also get some extra tokens by attaching your account with some of the other social media accounts. Step 4) Register your ETH wallet Address! This is important to do before the airdrop deadline, or else you might not get any tokens at all. You should do this as soon as possible. Step 5) Complete “missions” on the main airdrop interface to get more tokens. You get a bonus for each new social media profile you connect with the airdrop, and there are also some other nice missions you can complete to get some tokens such as following them on Twitter, or retweeting stuff. Now you just need to wait a few days until the airdrop deadline passes, and you will get your tokens. From what I understand, they will all be sent to your ETH wallet right after the deadline is over. AVINOC is an ERC-20 token that is currently in its ICO and airdrop phase. The goal of the token is to be a kind of middleman between customers and operators in the aviation industry, and hope to cut the cost of the entire industry by providing a decentralized, transparent alternative to the brokers that are currently working with this. I’m definitely not familiar with the aviation industry at all, so I can’t say that I understand all of what they are trying to accomplish, but check out the Whitepaper for yourself if you want to learn about this project. Will you participate in the AVINOC airdrop? Some people have gotten it, while others have not. I wrote an update about it a few days ago, which should give you some updates to how it is going. Yeah, i got mine yesterday... They are useless yet tought, no way to exchange them right? Yes, I don't think any exchanges allows you to trade them yet. Yeah, I think the price will drop like a rock once everyone get access to their tokens as well. Did everyone enjoy giving all of their information to them for a few cents? haha yea what a joke that was. kind of a bad way to start a company but lucky for them it's crypto and people are delusional haha. Haha. Yeah, but they still have a very bad reputation though. Who in the world is ever going to invest in their token at this point? But I guess they got what they wanted already..
Oh yea, all these groups need to do is launch an idea and the payments are huge, even if they fail now they'll be fine. It's weird and fascinating to see. If the tokens are actually worth that much this is insane. Signed up using your link, thanks for telling me! Thanks! I bet the value of the tokens will fall a lot once everyone will dump it at the same time, so you will probably not get as much as the interface tells you. Thank you @valth ! it's really interesting I just registered with your link and I had a lot of points thank you very much. Thank you for using my link :) Enjoy the airdrop! Got this in less than 15 minutes so now I doubt it if it's legit. Used your referral link what's your status? Thanks by the way! I'm definitely hoping that it's legit, but it feels a little too good to be true right now. Should you wonder what happened to your reputation: we have been flagging your comment spam. Repent and sin no more. Hey Piglet , This is how you Flag, 11 point Out ! If you do need Power , Let me know. I would be gladly to help. Yes, that's true. I suggest MetaMask, because it can run in your browser, so it's not a full wallet that takes up a lot of space. Thanks for telling us about that @valth, looks very interesting. Do you think an Ethereum wallet at coinbase would be enough to claim this airdrop? I honestly have no idea. I've never used Coinbase, so I wouldn't know. Do they generally support ERC-20 tokens? nah you'd be better off getting a MetaMask wallet. It's super easy to use especially on the Brave Browser.. Yes i would love to get some free crypto. It's a chance for me. Thank you for sharing with us. And one question. Would AVIOC be provided in ethereum? No, AVINOC is a token that runs on the Ethereum chain. So you will not get ETH directly, but you will get the AVINOC tokens in your Ethereum wallet. Got more than 100$ for now. I registered my address with myetherwallet's address. Will there be a problem with the register of myetherwallet.com address? I have no idea, because I'm not familiar with myetherwallet. I'm pretty sure it will be fine if it supports ERC-20 token though. Generally I don't prefer to take part in airdrops but I loved to read the informations you gave here. Funfact: my followers have gotten $2,600 worth of crypto from this airdrop already! That's a lot of money. I also see that I get 5 % of the referral points, so thanks to everyone who signed up with my link! if you are giving us information, i will definitely try it. Me neither. But I still want to get my free money ;) I don't think it will really end up revolutionizing the aviation industry either though. It's such a pleasure to read such a beautiful information from you. 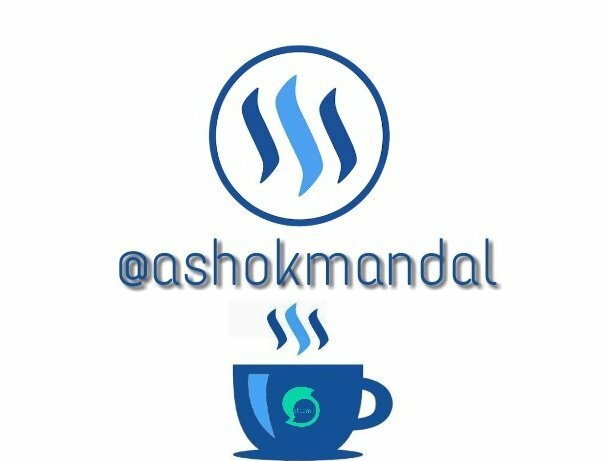 I'm gonna join this airdrop by your referral and I woukd like to invite my dear @abdulmanan to join this by your referral. Is AVINOC airdrop safe to use? Yes, I would say so. The only thing that could potentially be problematic is that they know your real name and your e-mail address if you connect with any of the social medias that share these. But other than that, I don't see how it could be unsafe. Nice, I've already done it, but how to redeem the free tokens? or where to trade them? I think they will send the tokens to your ETH wallet soon. I'm not exactly sure. Once they do this, then we can begin to trade them. Hey @valth did you get the airdrop? No, I have not gotten any tokens to my ETH wallet yet. I'm not really sure why they haven't sent them yet..
thanks! I don't expect the amount to actually reflect the token value when it finally airdropped though.. Still, its free money.. Not complaining. Me neither. I guess that thousands of people will dump hundreds of dollars worth of tokens each when they get it, so it will fall quickly. But yeah, some free money is great, even though it will not be as much as the interface displays. How will I participate in AVINOC airdrop? I understand what actually AVINOC token is. Is it like cryptocurrency? and it is profitable for non-aviation person? I will wait for your reply. Yes, it's a cryptocurrency, but it's too late to participate now. The deadline was August 1st. Hello friend, with the bittrex wallet works? Sorry, but I have no idea. I'm not familiar with Bittrex, but do they even support ERC-20 tokens or airdrops in general? Kind of in a doubt ! I upvoted your contribution because to my mind your post is at least 48 SBD worth and should receive 146 votes. It's now up to the lovely Steemit community to make this come true.